I get into smoothie ruts pretty often, which is why I’m thrilled to have a new resource for some fresh and delicious smoothie ideas. 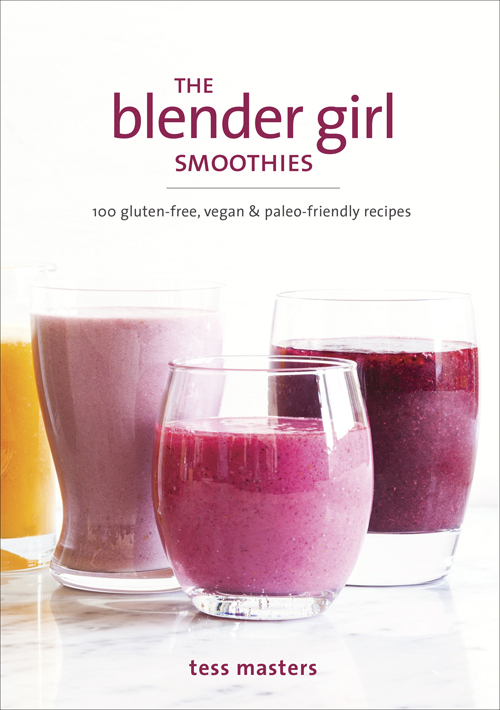 My friend Tess, also known as the Blender Girl, just released her latest book, The Blender Girl Smoothies, and it’s loaded with 100 gluten-free and vegan recipes. When it comes to smoothies, I used to fly by the seat of my pants, throwing in any fruits and veggies I had on hand at the time. This method works alright, but it often produces just mediocre results– the smoothes taste fine, but they don’t necessarily have a “wow” factor. When I started developing smoothie recipes myself, I realized that smoothies really do taste a LOT better when you follow a recipe! That’s why this cute little book is such an amazing resource– Tess has already done all the work for you, and also provides plenty of options to customize your smoothies with optional boosters. This book is actually based on her popular app which was released last year, so you can now get Tess’s easy and delicious smoothie recipes in the form that is most convenient for you. My favorite creations in this book are Tess’s savory and exotic recipes. She thinks to include things in smoothies that I’d never dream of, including veggies like cauliflower and broccoli. In fact, I had the pleasure of trying her Pomegranate Slam It smoothie at her launch party last month, and it blew my mind! I love the spicy kick fresh arugula adds to this smoothie, and paired with red pepper, chard leaves, and cayenne pepper, this smoothie is more on the savory side, which is a refreshing change from my usual fruitier smoothies. Tess has generously allowed me to share this recipe with you all, so I hope you enjoy it! 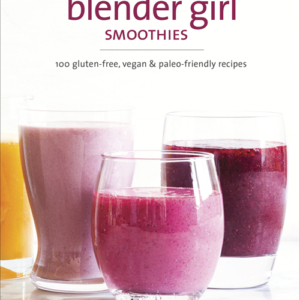 Reprinted from THE BLENDER GIRL SMOOTHIES Copyright © 2014, 2015 by Tess Masters. Photographs copyright © 2014 by Erin Kunkel. Published by Ten Speed Press, an imprint of Penguin Random House LLC. Disclosure: Tess sent me a complimentary copy of her new book, but as always, all opinions are my own. 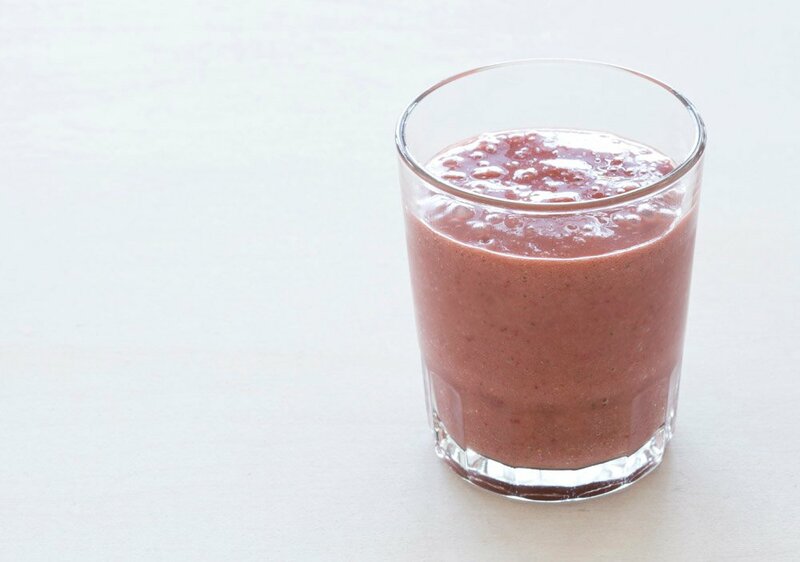 Reader Feedback: What’s your favorite smoothie combination? The cayenne idea is brilliant, never thought of adding some into smoothies! I’m familiar with the blender girl too, like her recipes! Anyhow, I was surprised by the arugula in here, that and the bell pepper, I’ve never tried those in smoothies before. But I know they are so good for you! And I’m a gym teacher and need all the energy I can get so I can beat my students at dodge ball, just kidding! Will try this though, thanks for the tips.